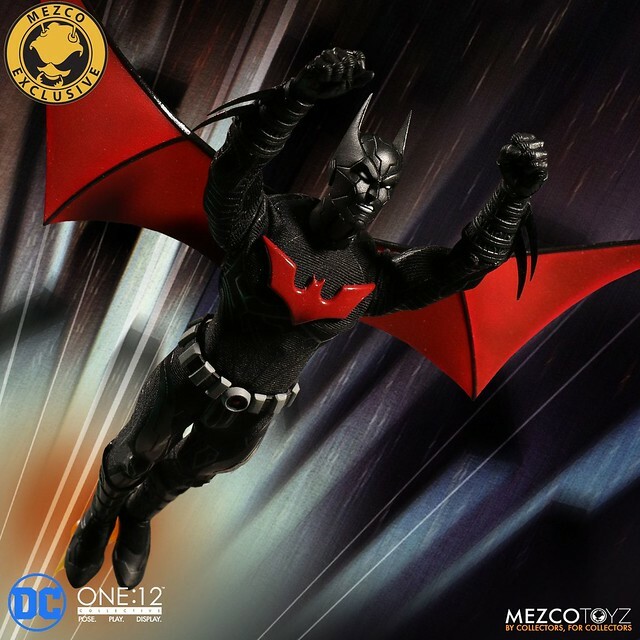 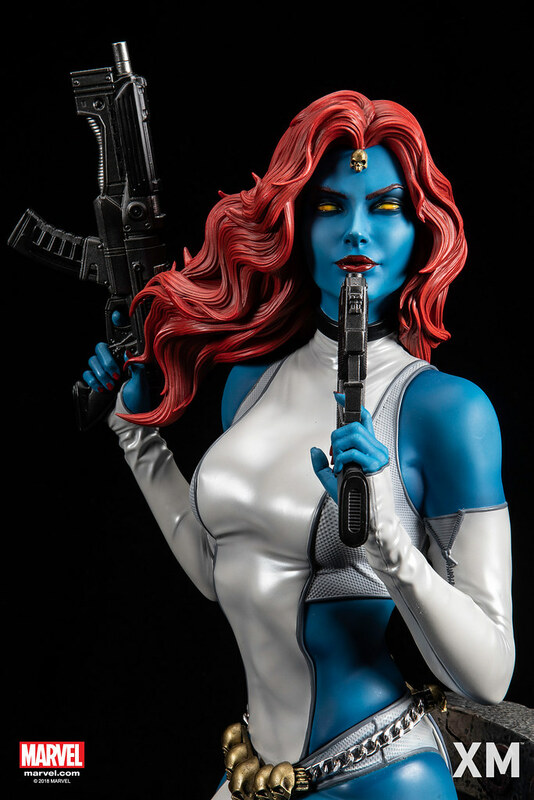 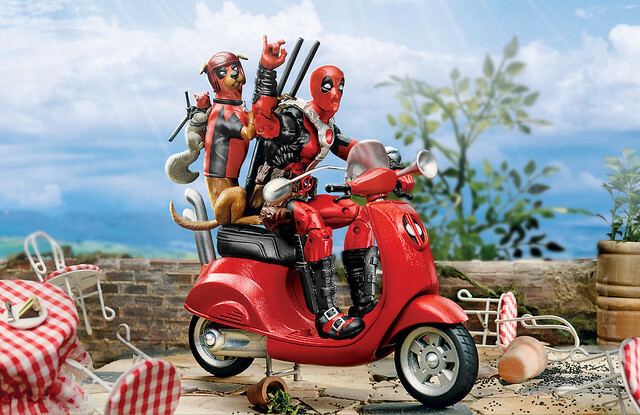 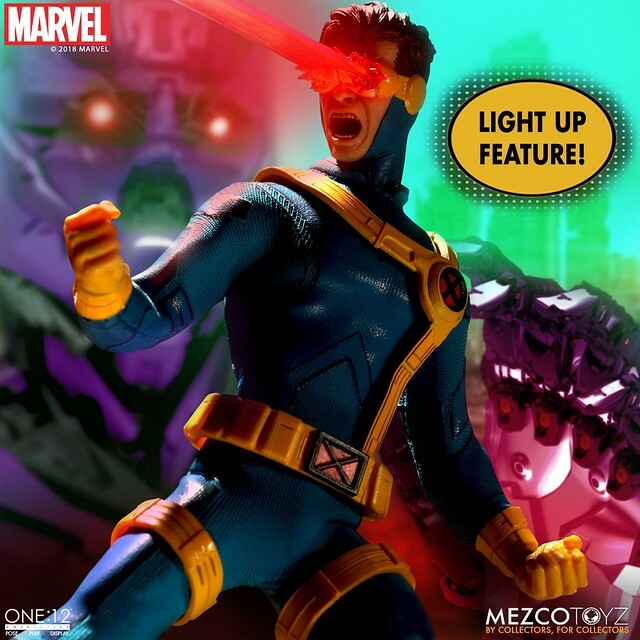 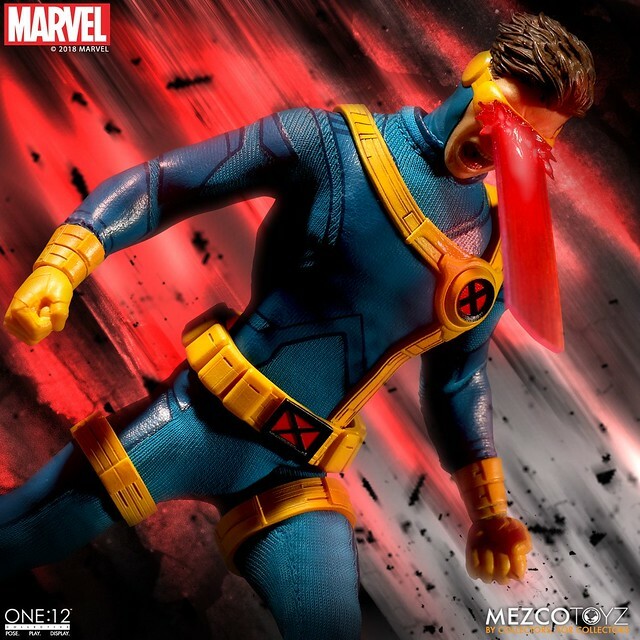 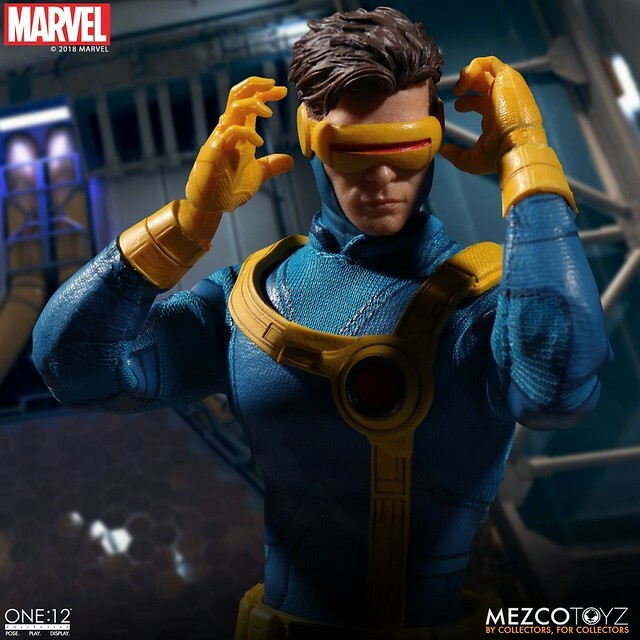 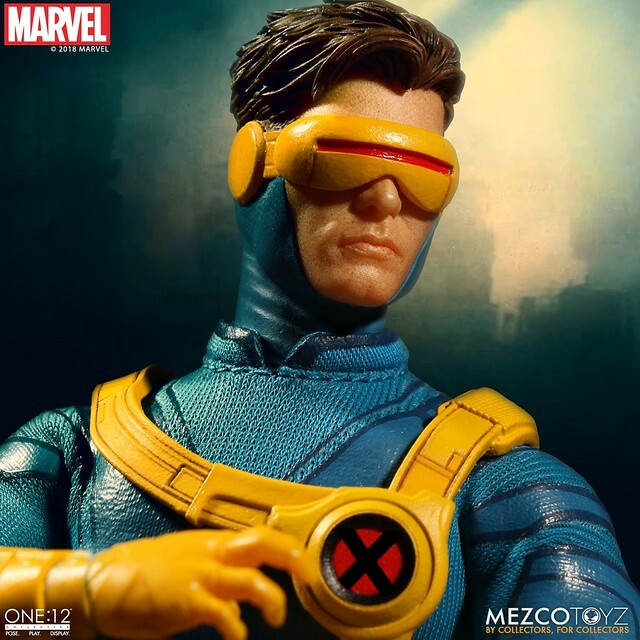 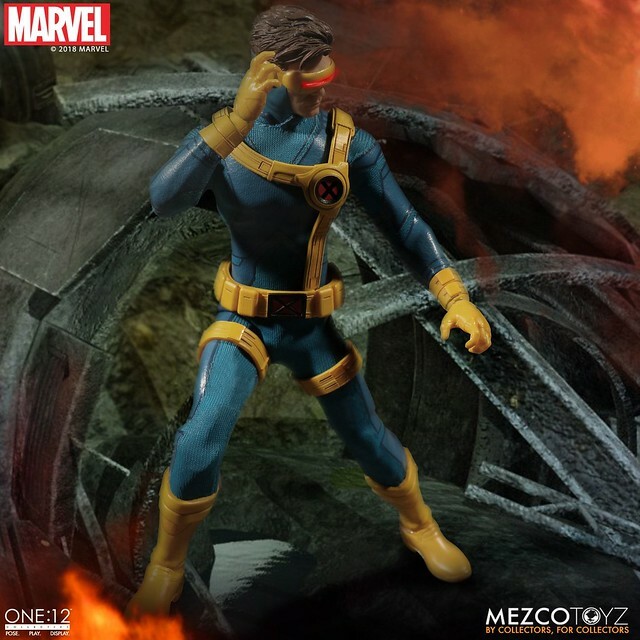 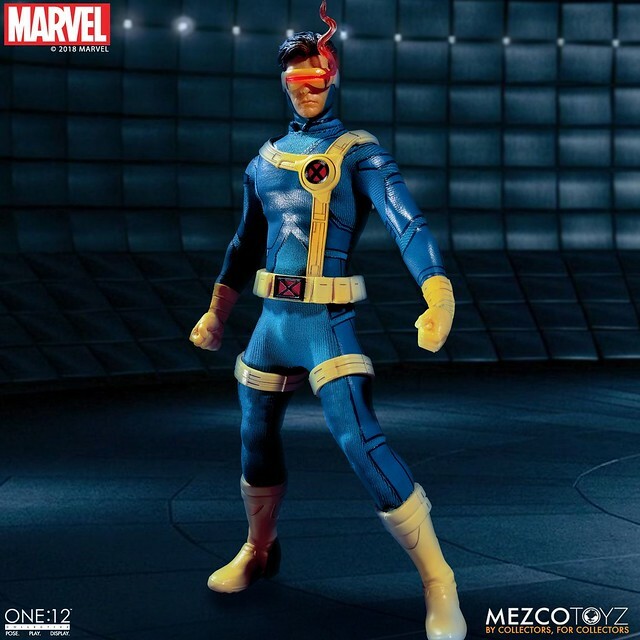 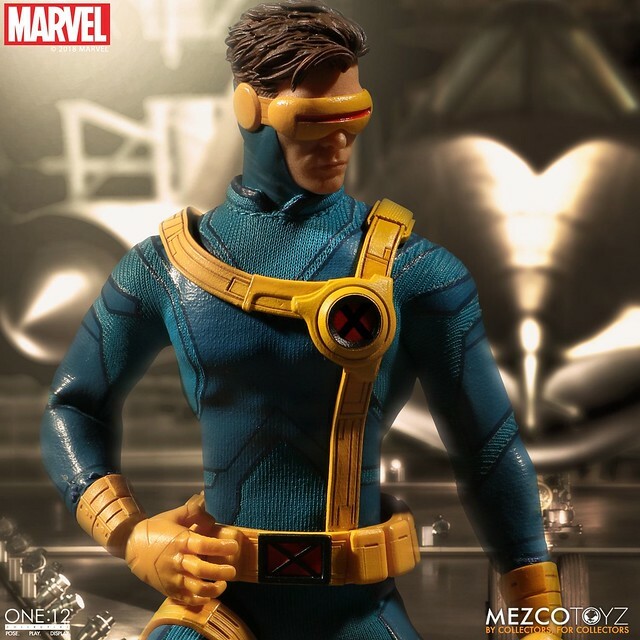 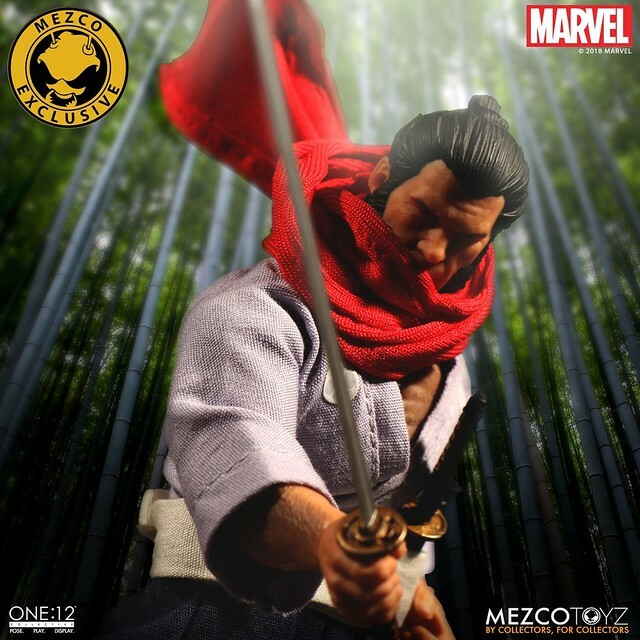 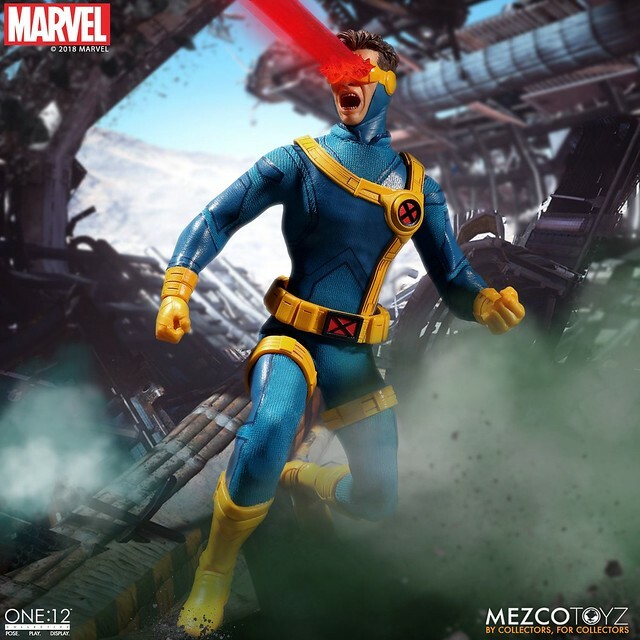 After releasing Logan, Hela, and Netflix's Daredevil, Mezco announced yesterday(20) another addition to their One: 12 Collective series; Marvel's Cyclops 1/12 Scale Figure estimate release 2019 Feb~April!! 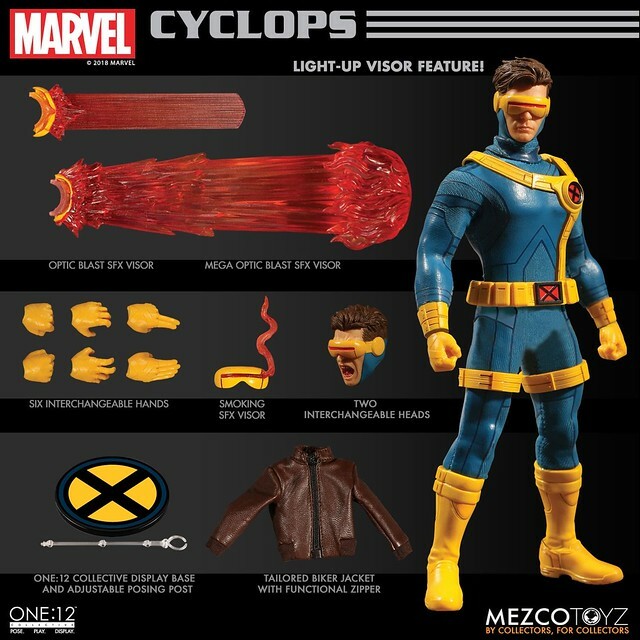 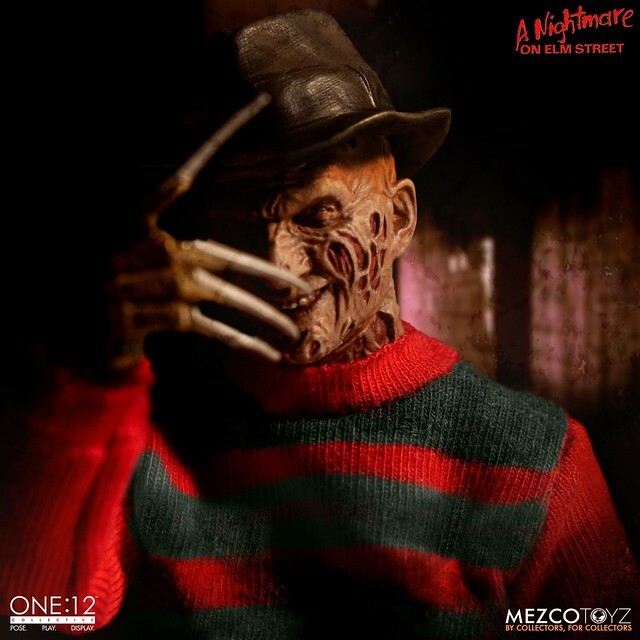 One: 12 Collective Cyclops stands 6.7in (17cm) with 28 movable parts. 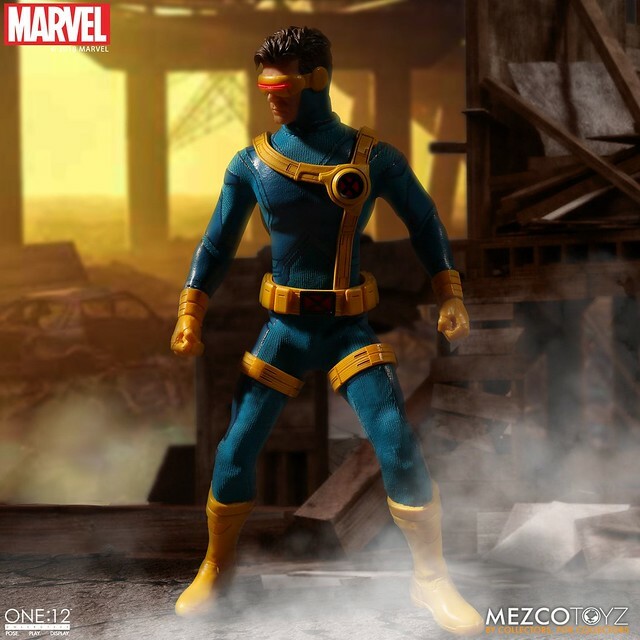 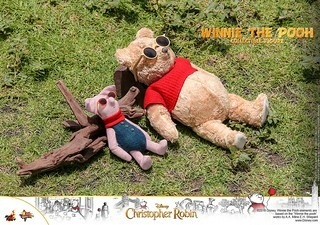 Appear in his classic blue tights, the yellow belt and glove/ boots are made of faux leather material and fiber. 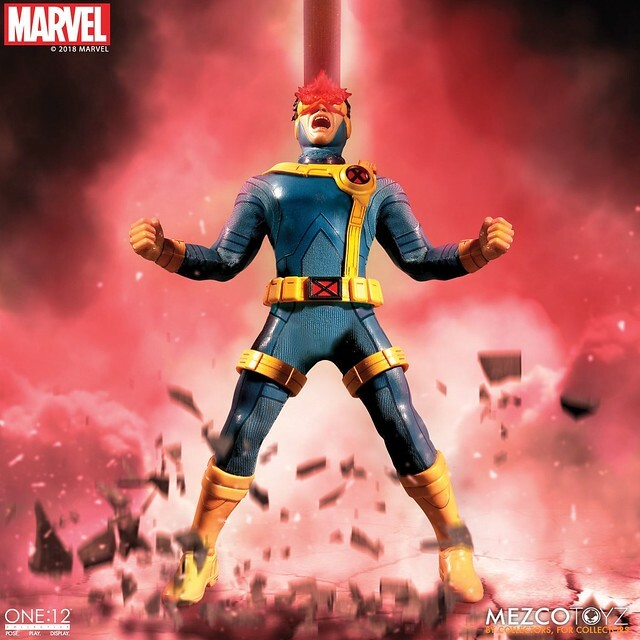 Overall form looks proportional. 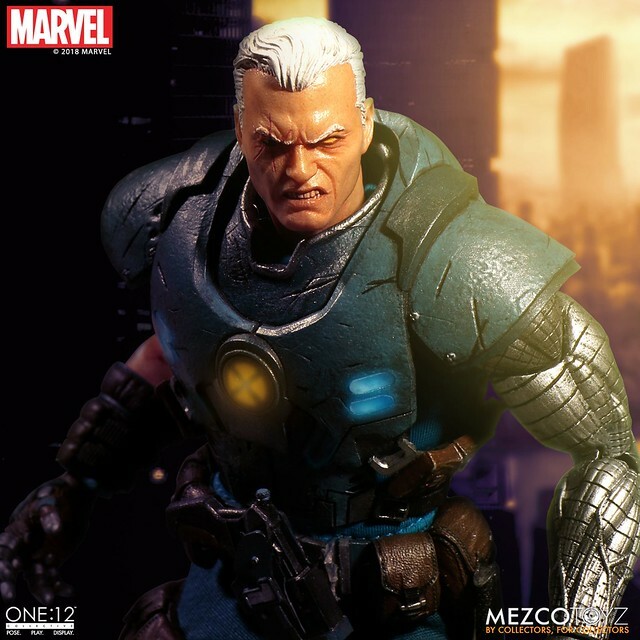 The face plate includes a normal and angry face and the undercut hairstyle is also well made. 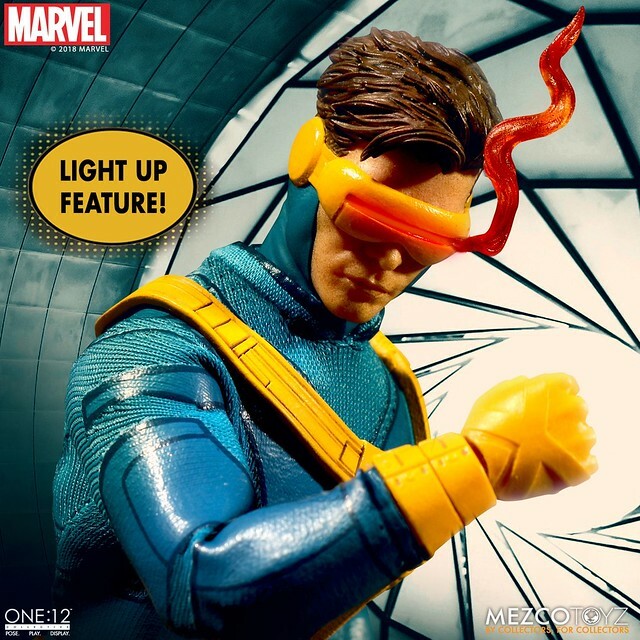 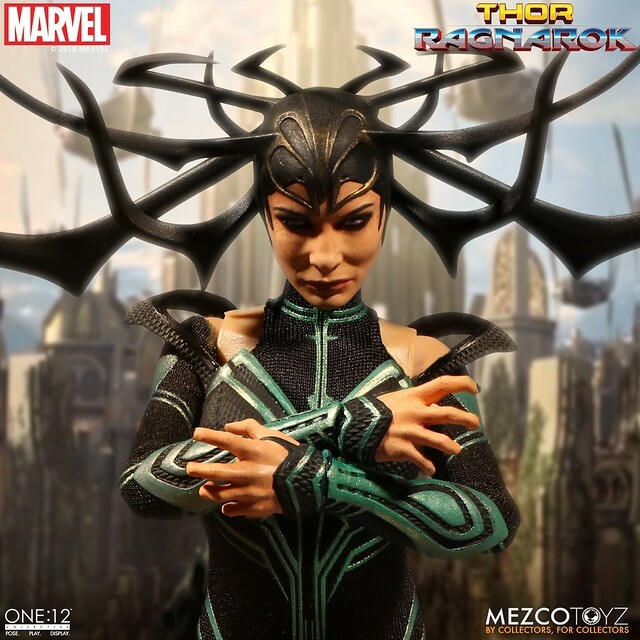 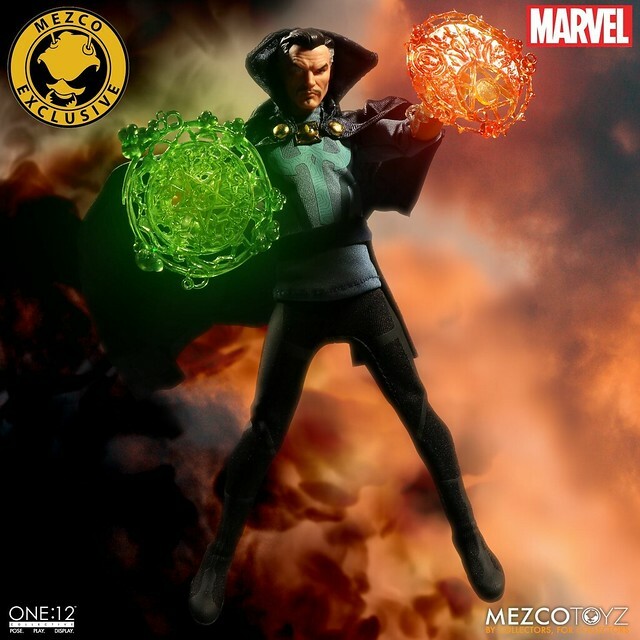 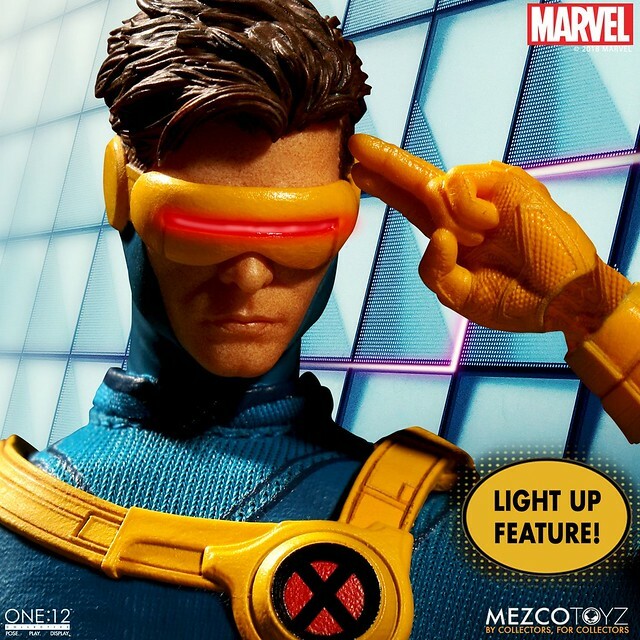 The figure includes an Optic Blast SFX Visor, Mega Optic Blast SFX Visor, and Smoking SFX Visor to combine with the light up feature. 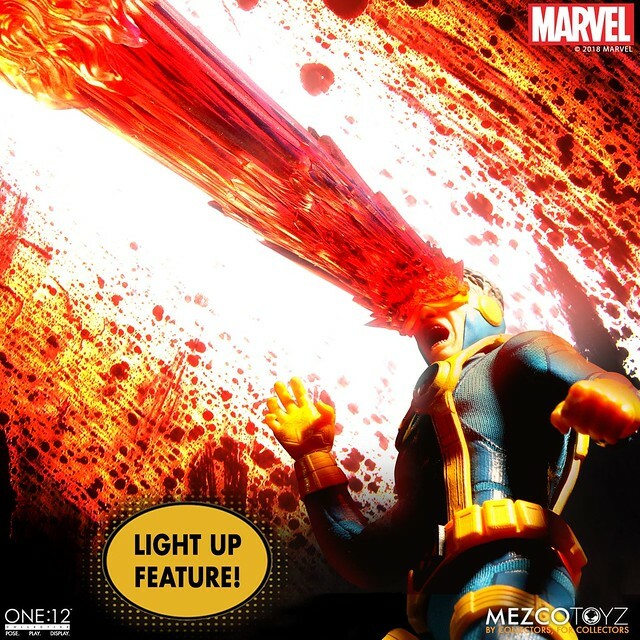 The Mega Optix Blast is an especially strong visual effect and the red smoke effect is also interesting. 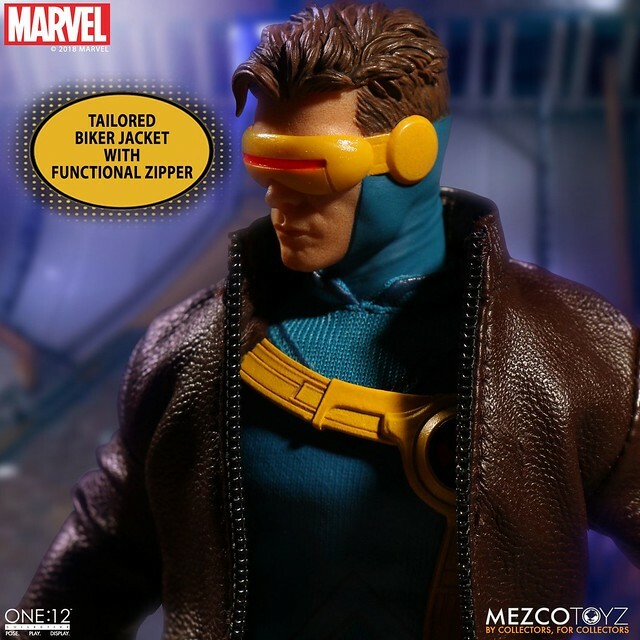 Additionally, it includes a dark tan biker jacket with functional zipper, how neat! 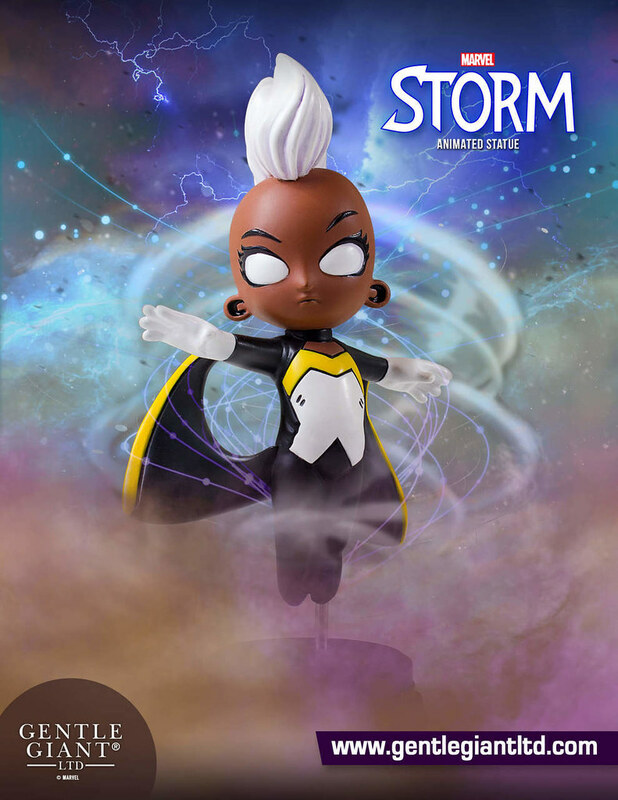 Control The Weather With This Cute Storm Animated Statue!